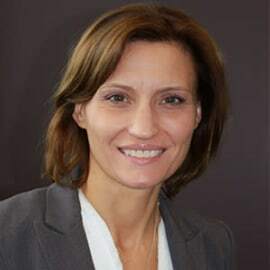 Linda Cousineau is the Director General, Innovation and Community Development at the Federal Economic Development Agency for Southern Ontario (FedDev Ontario) in Waterloo, Ontario. She is currently leading FedDev Ontario’s third mandate economic development programs focused on revitalizing communities, strengthening clusters and growing and scaling entrepreneurial businesses. Dr. Cousineau has been with FedDev Ontario since March 2010, shortly after it was established. She has held various positions, including Acting Vice-President, Business, Innovation and Community Development; Director, Commercialization; and Chief Financial Officer. Prior to this, Dr. Cousineau progressed to management and executive positions within the Ontario Public Service in Toronto, Ontario. She has a Bachelor of Science in Agricultural Economics from McGill University, and a Master of Science and Doctorate in Agricultural Economics and Business from the University of Guelph.